A number of deals have already apparently been agreed to ahead of free agency officially beginning on Tuesday afternoon, and now we have the first case of a player pulling out of a reportedly agreed to deal. 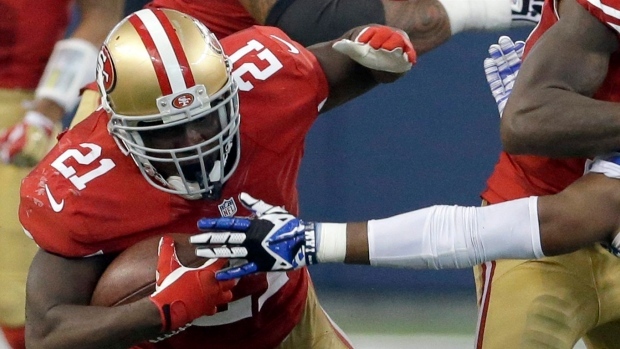 Longtime San Francisco 49ers running back Frank Gore reportedly agreed to a three-year, $15 million deal to join the Philadelphia Eagles Sunday. That isn’t likely to happen now. The NFL Network’s Ian Rapoport reported that Gore has cold feet and is expected to change his decision. The Indianapolis Colts, who ESPN’s Adam Schefter reported also heavily courted Gore, could now be the frontrunner for the veteran’s service. Gore, 31, is coming off a 1,106-yard season, his fourth straight 1,000-yard season and eighth in his 10-year career. The former third round pick also had four touchdowns.